Sony’s Alpha SLT-A33 is a DSLR-styled camera with 14 Megapixel resolution, HD video and a vertically tilting screen. 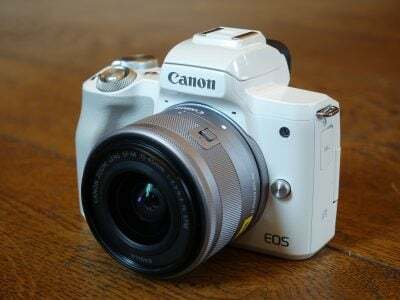 Announced in August 2010, the SLT-A33, along with its stablemate the SLT-A55, represent a brand new type of camera. They may look like conventional DLSRs from the outside, and indeed are compatible with the complete range of Alpha lenses, but employ fixed semi-reflective mirrors. Sony calls them ‘translucent’ mirrors – hence the acronym SLT for Single Lens Translucent rather than Single Lens Reflex – although it’s arguably better to describe them as semi-reflective or semi-transparent. 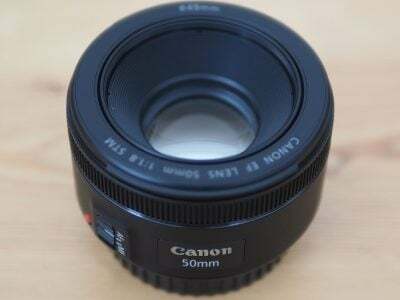 In a traditional DSLR, the mirror reflects light into an optical viewfinder, via a phase-change autofocus sensor. Then when you take the photo, the mirror temporarily flips up to expose the sensor, briefly blanking the viewfinder. This works well for normal composition, but during Live View and movie modes, the mirror has to remain flipped-up to deliver a live feed from the sensor; this has the side-effect of bypassing the main phase-change AF system, instead forcing the use of a much slower contrast-based system. So far, contrast based systems on DSLRs have proven too slow to allow effective continuous AF capabilities, which rules out Live View for action photography and renders movie modes into manual focus affairs. In Sony’s SLT models, a fixed semi-reflective mirror allows most of the light to pass through to the sensor for full-time live view composition, but reflects a small amount to the phase change AF system, allowing quick and continuous autofocusing in Live View and movie modes. Indeed with no traditional optical viewfinder, the SLTs become 100% Live View cameras, and allow you to compose with either the articulated screen on the rear or a detailed electronic viewfinder. This is pretty revolutionary stuff in the camera world. Composition is 100% Live View, which means having 100% coverage and the option of super-imposed information and graphics, including various alignment grids, a live histogram, and twin-axis virtual horizon. The screen is large and detailed, measuring 3in with 921k dots, while the electronic viewfinder delivers an image that’s very detailed with 1.15 million effective dots and an apparent size that’s much larger than budget DSLRs. The movie mode offers Full HD 1080p video recording, and there’s an external microphone input for better quality audio. What makes it really special though is the ability to continuously autofocus while filming thanks to the phase-change AF system. This really puts the A33 apart from traditional DSLR movie modes which are effectively manual focus only. The only downside is the phase change AF system requires the maximum lens aperture to operate, so the depth of field is minimised, but this in turn is what makes movies on large-sensor cameras special. The Alpha SLT-A33 confirms its action credentials with up to 7fps continuous shooting, and thanks to the semi-reflective mirror, also enjoys continuous AF as you compose with the screen or EVF. The AF system itself is a new 15-point design with three cross-type sensors. As the icing on the cake, the SLT-A33 comes packed with Sony’s cunning modes which combine multiple images for special effects. The Handheld Twilight and new Multi-frame Noise Reduction modes combine six frames grabbed in quick succession to reduce visible noise. The HDR mode takes and combines three separate exposures to extend the dynamic range of the image. Meanwhile, the Sweep Panorama automatically stitches a sequence of images taken as you swing the camera in an arc to deliver impressive-looking panoramic photos – there’s even an option to generate one in 3D for viewing on a compatible TV. It all adds up to a very impressive specification, but the question of course is how well it all comes together in practice. Does the phase change AF system really allow Live View to focus as quickly as a normal DSLR? Is the continuous AF in movie modes an effective alternative to a camcorder? Is there a significant loss in having no optical viewfinder? Does the semi-reflective mirror have a detrimental impact to sensitivity given it always redirects some of the light away from the main sensor? We’ll answer all of these questions and more in our full review of the Sony Alpha SLT-A33 where we’ve compared it against both a traditional DSLR and a key hybrid rival. We’ve also dedicated results pages to the innovative Handheld Twilight, HDR and Multi Frame Noise Reduction modes in addition to our usual tests. Suffice it to say we also have a gallery featuring sample images you can download, along with a selection of movie clips showcasing the camera’s continuous AF capabilities. So if you want a camera that shoots video as confidently as it does still photos, you’ve come to the right place! Read on to find out how the Sony Alpha SLT-A33 measures-up. We tested a final-production SLT-A33 sample, running firmware 1.10 and fitted with a Sony SAL1855 SAM kit lens. During our extended test period we sourced the A33 on three separate occasions, allowing extensive comparisons with a variety of rivals.